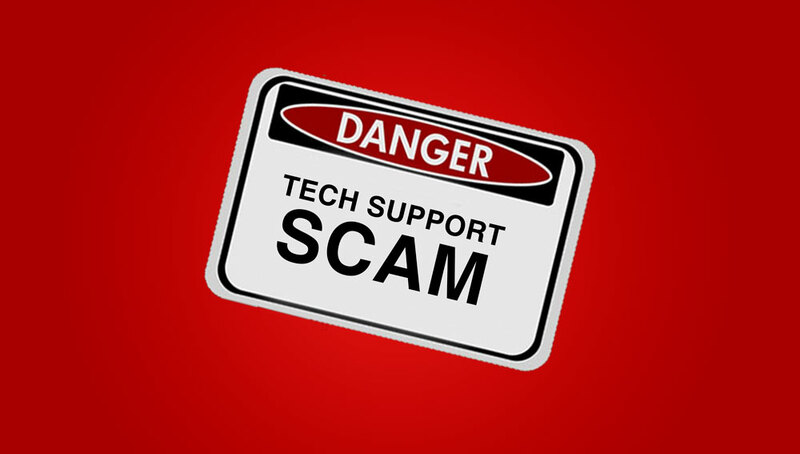 Tech support scams are becoming a widespread issue. Scammers use scare tactics to trick people into paying for unnecessary technical support services that supposedly fix fake problems with your computer or software. Scammers might display a false error messages on websites you visit and then display a support number to entice you to call. They may also put your browser on full screen and display pop-up messages that won't go away, essentially locking your browser. These false error messages aim to trick you into calling their fake technical support hotline. Scammers may also call you directly on your phone and pretend to be representatives of a software company. They might even spoof the caller ID so that it displays a legitimate support phone number from a trusted company. They can then ask you to install applications that give them remote access to your device. Using remote access, these experienced scammers can misrepresent normal system output as signs of problems. YOU SHOULD NEVER PAY ANYONE WHO CONTACTS YOU ABOUT A “TECHNICAL SUPPORT” PROBLEM. YOU SHOULD NEVER SHARE YOUR PERSONAL INFORMATION OR BANKING INFORMATION WITH ANYONE.